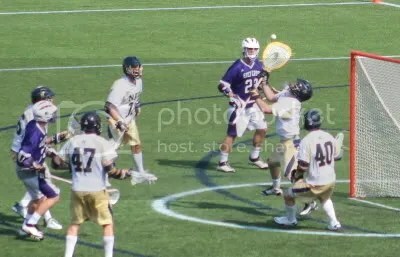 If you look close enough, you can see why it should be called “hit him in the letters” instead of “hit him in the numbers.” Nice chest save by RJ. 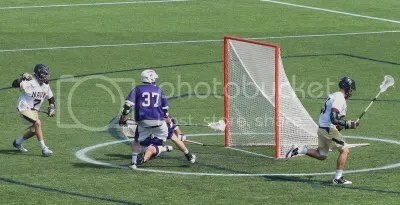 When you’re doing a split and looking backwards, it’s usually a bad thing. 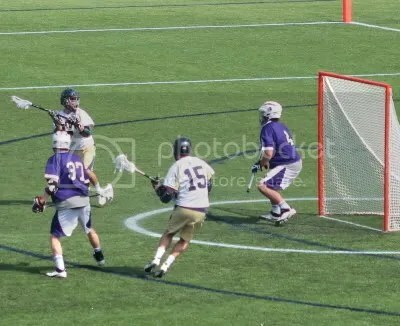 Fake high, go low for the score. 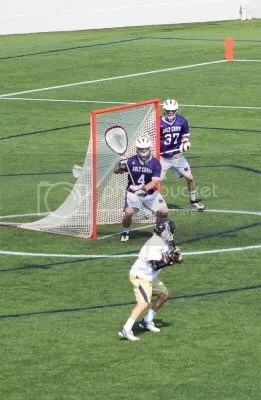 Good job by RJ cutting down the angle, taking up the goal, and exploding up for the save, and the slide by Matt Vernam makes the shooter pay. 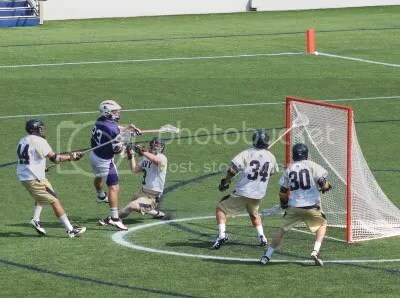 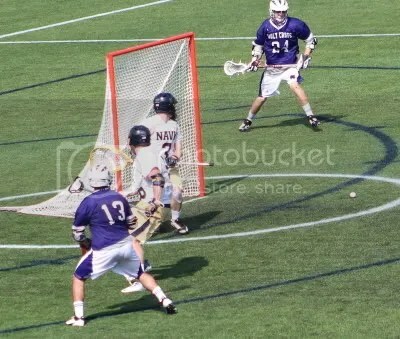 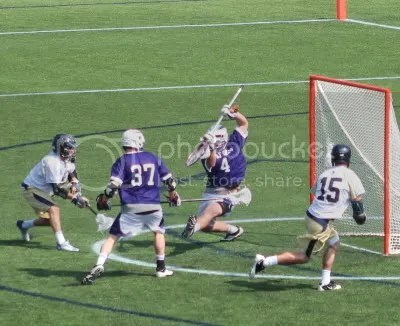 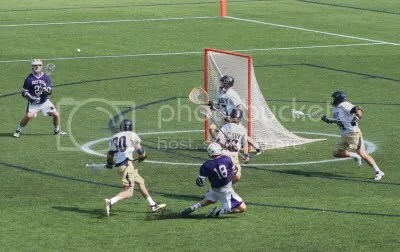 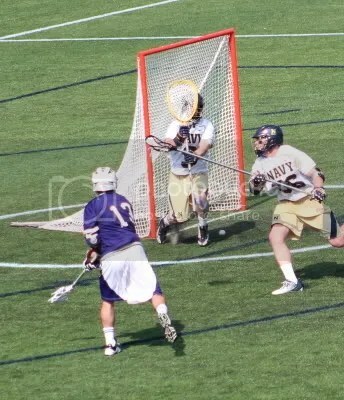 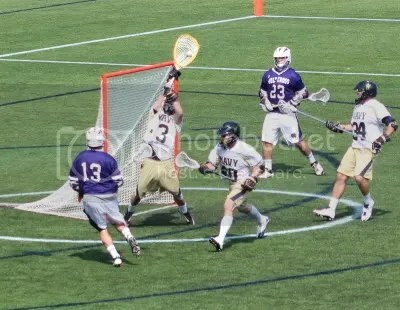 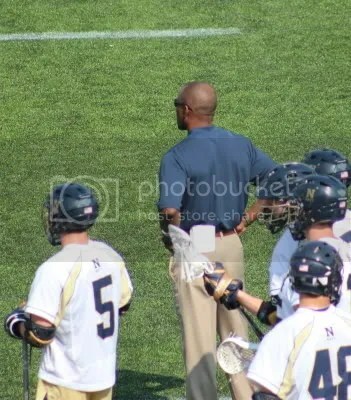 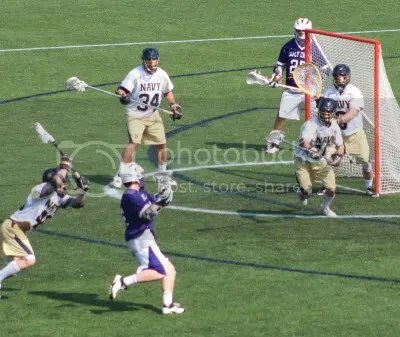 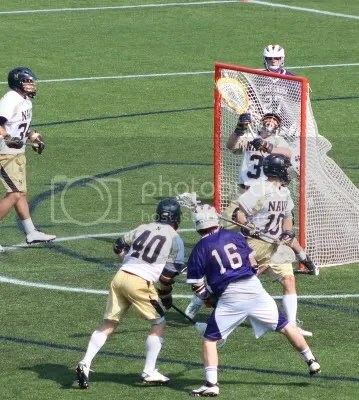 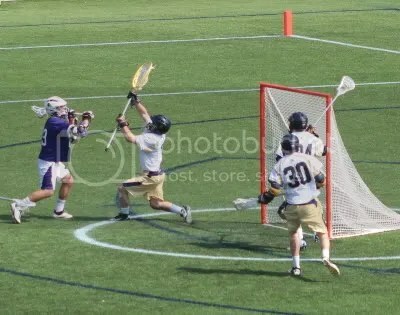 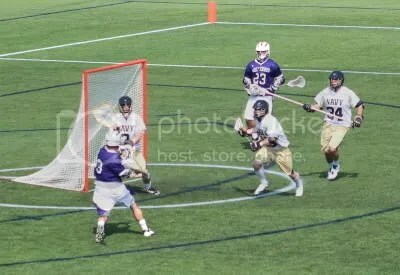 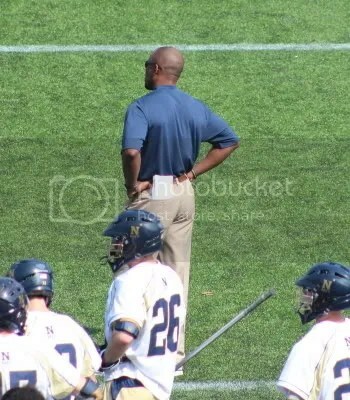 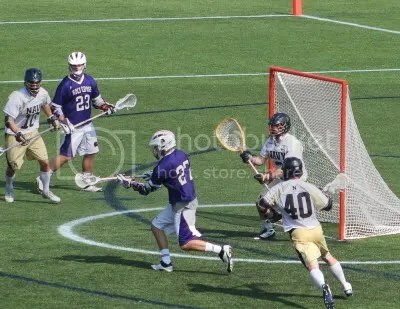 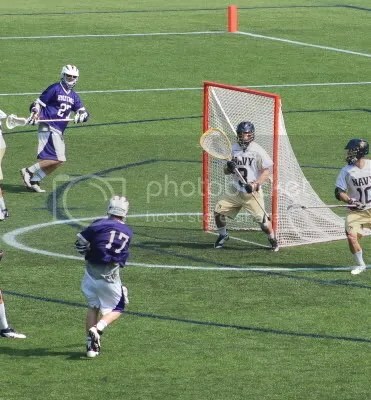 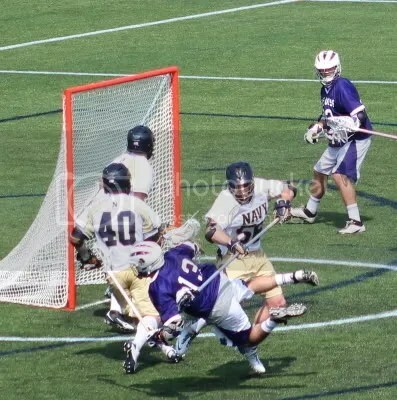 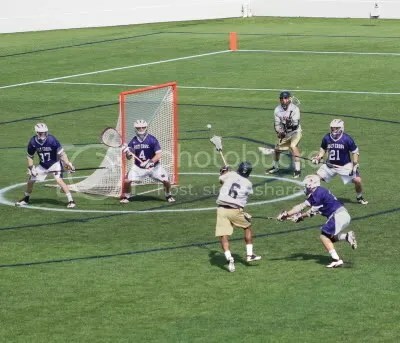 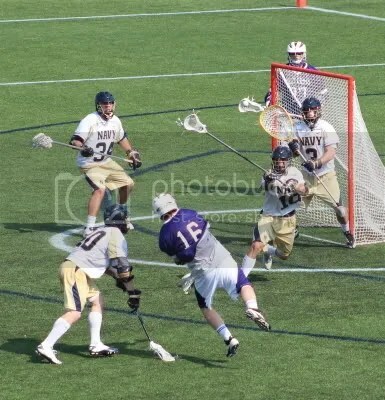 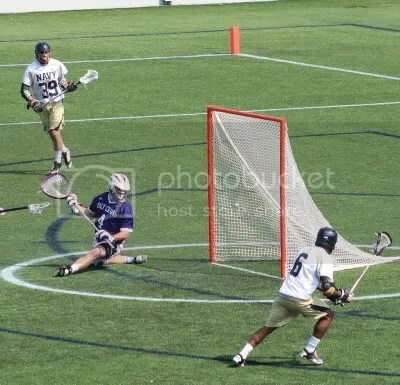 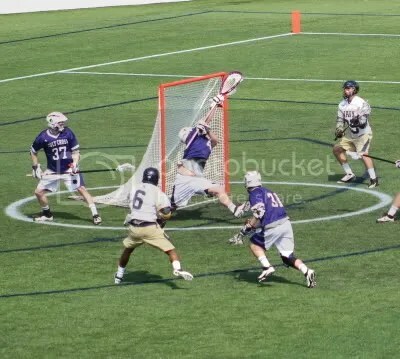 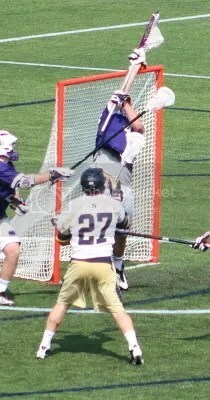 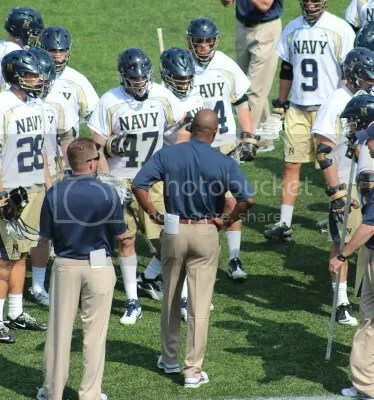 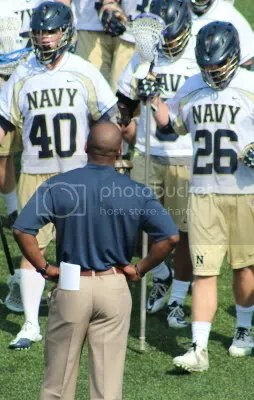 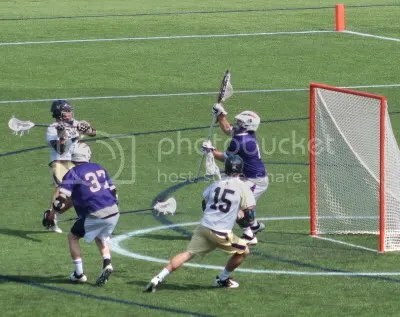 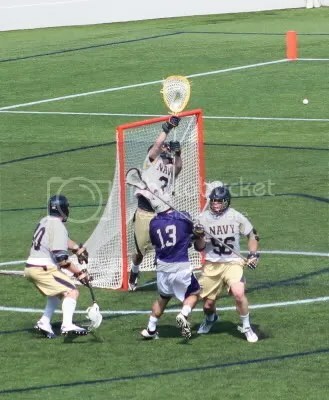 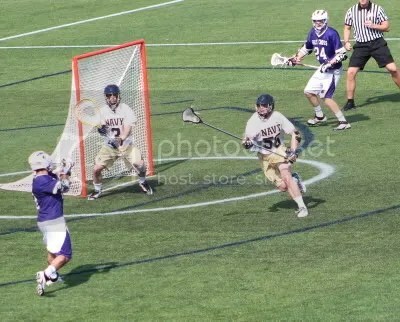 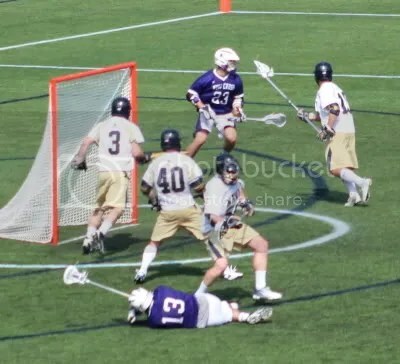 Navy had a couple (or more) goals on great feeds to a man who worked himself open on the opposite side of the crease. 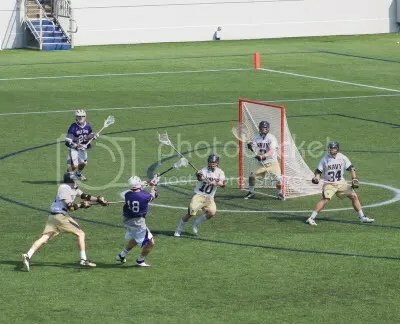 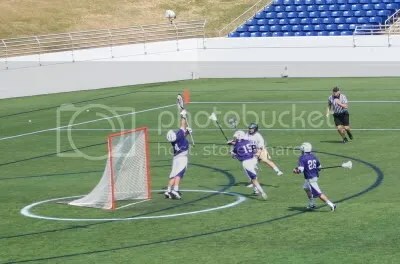 Here, Sam Jones gets the assist on Tucker Hull’s 2nd goal of the game during an EMO in the 2nd quarter. 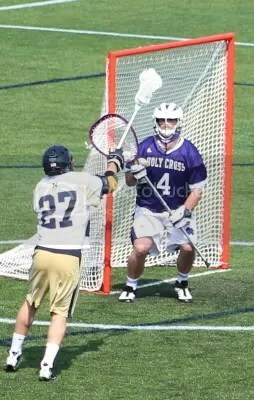 Holy Cross beats RJ offstick high for their last goal of the game early in the 3rd quarter. 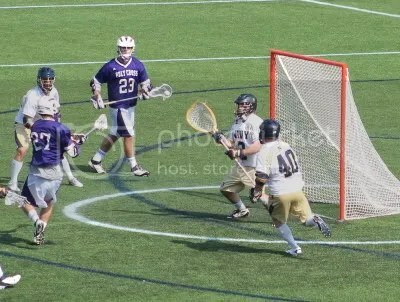 RJ coming up with a big save on a point blank shot.